U.S. 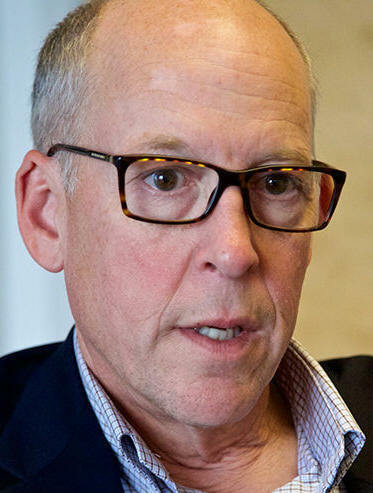 Congressman Greg Walden said he is close to drafting a bill in the House that will focus on resolving the water issues for the Klamath Basin. It will likely include the removal of the four dams that sit on the Klamath River and have been a source of dispute among parties who have not signed on to the water agreement. Walden has been adamant about not removing the dams, but has softened that stance in the last few years. The agreement is called the Klamath Water Recovery and Economic Restoration Act. It was hammered out by irrigators, the Klamath Tribes, environmental groups, state and local officials as a compromise to provide consistent water to farmers and ranchers, as well as keep enough water in Upper Klamath Lake and the Klamath River for protection of endangered fish species. Senate Bill 133 was introduced in January in the Senate Committee on Energy and Natural Resources, but has yet to move forward. It must pass the House and Senate and be signed by the president before it can become law. SB 133 was about to be heard in committee prior to the August recess, but more pressing energy matters took the stage. Now, Walden plans to sponsor a similar bill in the House, but he was not ready to talk specifics. Once drafted, Walden said he wants to confer with the agreement parties before releasing it in the House. Once drafted, it will have to go before the House Natural Resources committee which includes California Republican congressmen Doug LaMalfa and Tom McClintock. In September at the Tulelake fair, LaMalfa said he remains adamantly opposed to dam removal. Three of the four dams are in his district. “I don’t know if LaMalfa will support my bill or not. I respect him and he’s a good man, but we may wind up in different places on this,” Walden said. Gun control: In light of the shooting at Umpqua Community College, Walden said, “First and foremost our prayers are with the families, the victims and the whole community. Oregon’s gun laws are adequate. Mental illness legislation may be the way to help keep care for mentally ill kids who, when they turn 18, are without benefits. It’s been five years since the Klamath Basin Restoration Agreement was first signed. Supporters heralded it as the solution to the Basin’s water issues stemming back to the 2001 water crisis. The KBRA is partnered with the Klamath Hydroelectric Settlement Agreement, and in 2014 the two were joined by the Upper Klamath Basin Comprehensive Agreement. Now KBRA supporters wait to see if Congress will pass the Klamath Water Recovery and Economic Restoration Act, which combines the three agreements into one comprehensive bill.